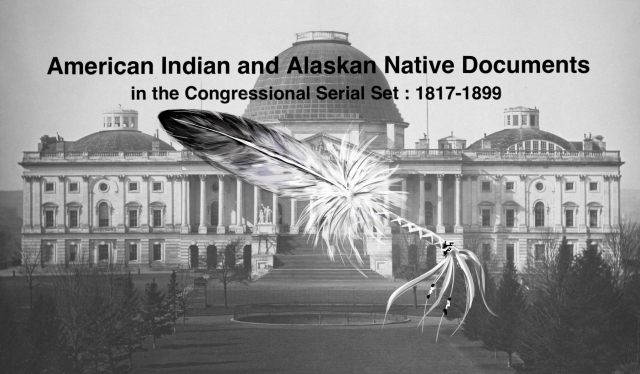 "Letter from the Acting Secretary of the Interior transmitting, in resp"
Letter from the Acting Secretary of the Interior transmitting, in response to resolution of the Senate of June 27, 1898, a communication from the Commissioner of Indian Affairs; also copies of two reports, and their inclosures, from United States Indian Inspector McConnell, of his investigation of the enrollment and payment of the Cherokee freedmen under the decree of the Court of Claims in the case of Moses Whitmire, trustee, v. the Cherokee Nation. Payment of the Cherokee Nation to the Cherokee Freedmen. 3 Feb. SD 101, 55-3, v7, 47p. Investigation of the enrollment and payment of the Cherokee Freedmen under a decree of the Court of Claims.